Anyone affected by cancer knows that patients lose their strength and appetite while fighting the disease. In order to improve their nutrition and heal, they still have to eat, but what? 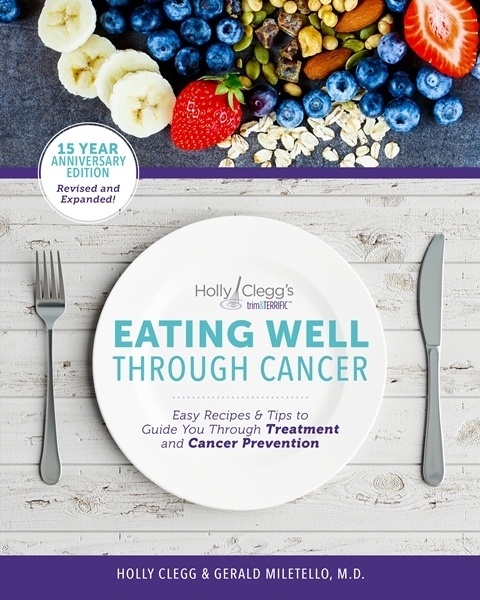 Eating Well Through Cancer, written by best-selling national cookbook author, Holly Clegg, and successful cancer researcher and oncologist, Dr. Gerald Miletello is an important resource in response to these questions. 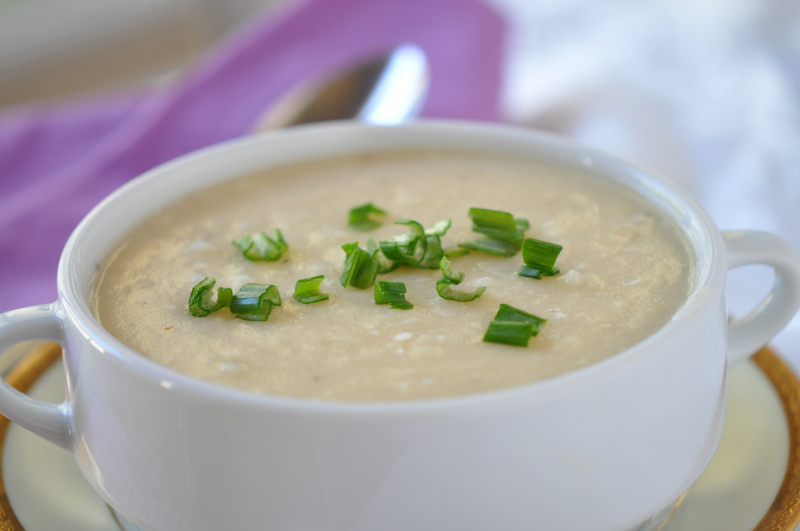 Easy Potato Soup from the Sore Mouth and Throat chapter became a favorite meal in our household, and when my dad had larynx cancer he requested it often. The soup is smooth, creamy with a satisfying flavor, and the frozen hash browns make the dish extra easy to prepare as there is no tedious peeling potatoes. From the Nausea chapter, Banana Bread not only makes a great snack for the whole family, but since bananas are easily digested by virtually everyone, this makes a nice, not too rich snack when going through treatment. Made with a biscuit baking mix to simplify, I have also made this recipe into mini loaves or muffins to keep in the freezer to pull out for a quick snack or even gift to someone going through cancer treatment. What is better when you aren’t feeling well than a warm bowl of chicken soup? This Chicken, Barley, and Bow-Tie Soup is an updated satisfying version of the classic remedy recipe. This recipe is from the Day of Chemo chapter, as it is important to eat lighter, easily tolerated foods. It is important to me to include recipes that not only feed the person going through cancer treatment, but also please the entire family! Many times someone going through treatment has difficulty eating and sometimes snacks are a good choice. Eating snacks throughout the day can offer a person something to munch on. 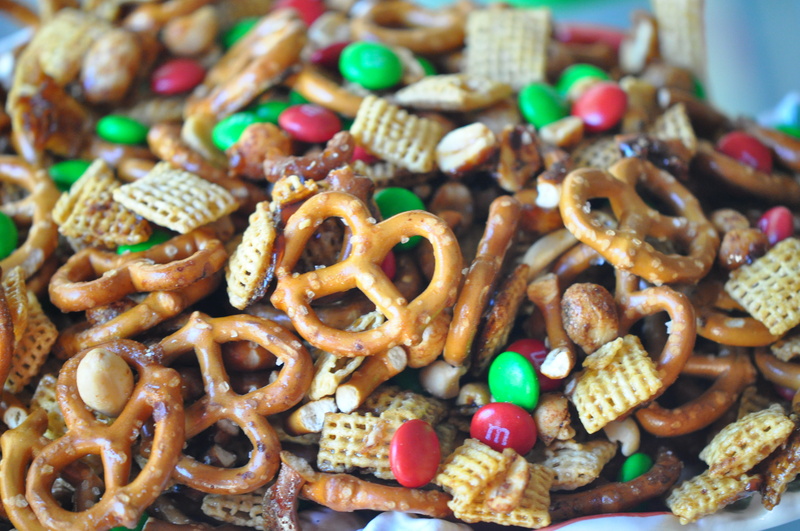 From the Snacks and Smoothies chapter, this Snack Mix makes a great option for a caregiver to take over to someone’s house. Remember to take in a disposable container and this snack mix lasts a long time. When looking for a healthy meal for long-term health, look no further than the Snappy Salmon Burgers from the Healthy Cooking chapter. Diabetic-friendly and gluten-free, this nutrition packed mouth-watering burger uses fresh salmon, rich in heart healthy omega 3 fatty acids. A healthy diet can keep up your strength and immune system and what you eat may make a difference in how well you handle treatment. With an awareness of the foods best tolerated and those that ease the symptoms of treatment, you may be able to eat well and stay properly nourished. Eating Well Through Cancer is a cookbook to feed not just cancer patients and caregivers but the whole family will benefit from these simple, heathy delicious recipes.